On Friday, November 2, 2018, WAEC’s registrar, Dr. Uyi Uwadiae presented Buhari with the document at the State House in Abuja. 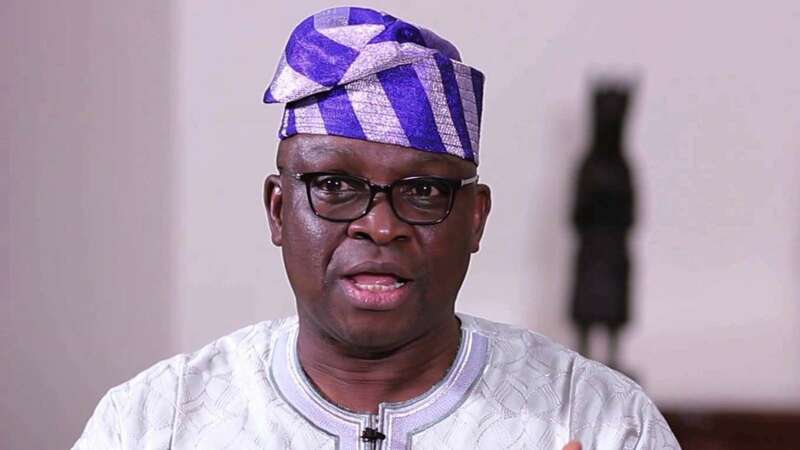 The former Governor of Ekiti state, Ayo Fayose has reacted to the presentation of an attestation of result to President Buhari by the West African Examination Council (WAEC). In his reaction, Fayose wondered why it took so long for the President to get the attestation of result. He said “If it was this easy to get WAEC to issue the "Attestation/Confirmation Certificate, why waiting this long? Why contesting four times without a single certificate? So when will the military produce the credentials that he claimed are with them? Many questions begging for answers. “My consolation is that (provided they will allow votes to count) Nigerians will have the opportunity of ending this national embarrassment in 4 months time. I have never seen a nation that has been so embarrassed by a mere question of; Mr President, where are your credentials?" Meanwhile, the Peoples Democratic Party (PDP) has described the presentation of the attestation of result to the President as a tragicomedy. Speaking to newsmen, the party’s spokesman, Kola Ologbodiyan said what the examination body presented to Buhari was a political certificate. Ologbodiyan also said that the PDP stands by its words that uhari has no school certificate. In response to requests from Nigerians, the West African Examination Council (WAEC) put out a list of requirements for the issuance of an attestation of result.